So I don't know about you but I love the little things in life that make it extra sweet. Translate that into the fashion world and it's all those beautiful accessories that come to mind. 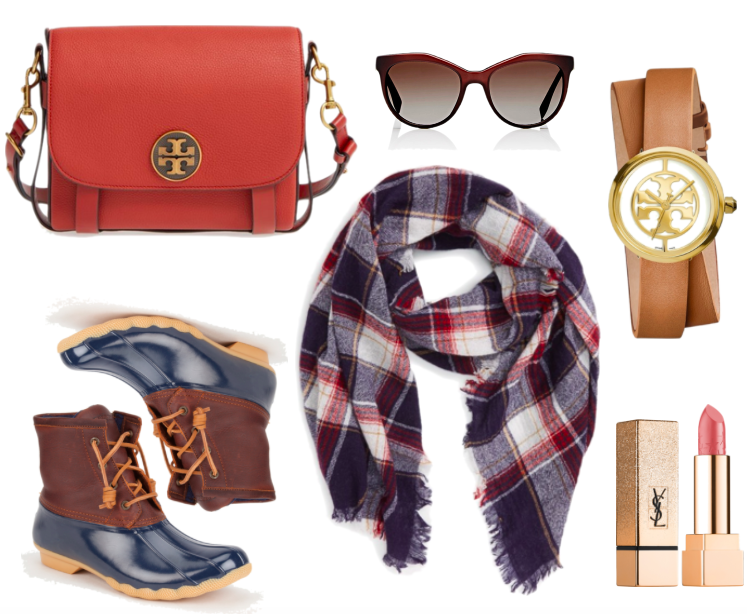 Today I'm sharing some of my current favorites for fall. From Tory Burch to Rebecca Minkoff and every gorgeous thing in between, a girl just can get enough of these beautiful adornments. This bag is my latest go-to and the perfect complement to all that is fall. I picked mine up in the color putty during the Nordstrom Anniversary Sale last season but also love it in this shade. These block heel beauties are begging to party a la 1920 and the fabulous flapper scene. I'm also loving this creamy neutral shade of polish and these sleek cat-eye inspired shades. Many favorites make a season and you can shop all my current picks below. Hope you're enjoying all this amazing fall scenery in your neck of the woods. Oh October, how I love you! !